Today I’m sharing the start of my 2018 December Daily album project. This is my 7th year doing the project and I’m really grateful for the mind of my dear friend Ali Edwards for dreaming this thing up! I’m keeping it SUPER simple for 2018. 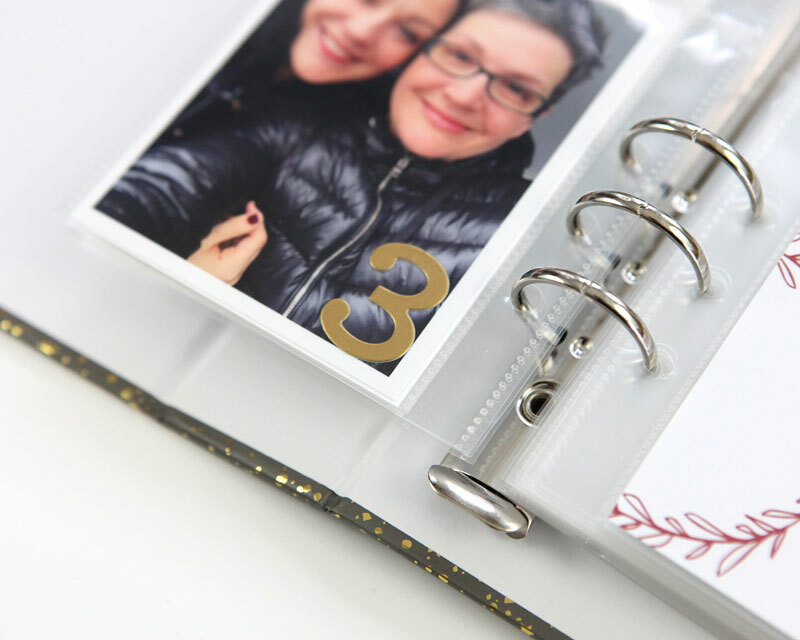 I’m using Ali’s Main Kit and her adorable 3 x 8 Star Gaze Album. * I just thought this album size would be a great fit in a year wherein I am in a partial empty nest. Don’t get me wrong! I have stories to tell but… maybe a big album full of photos of me drinking red wine and eating potato chips might be overkill. Smaller is better in 2018 for this memory keeping mama. Shall we take a peek? 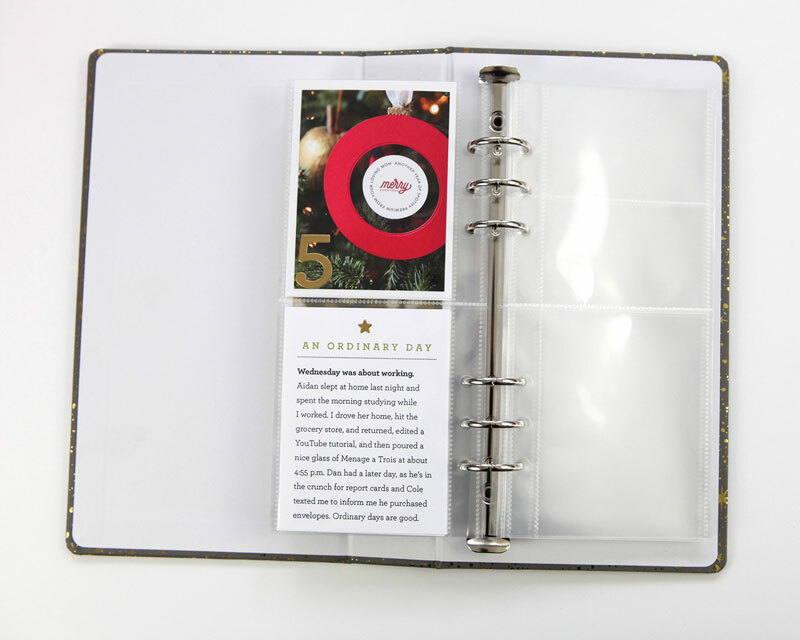 My title page this year features the COOLEST idea that I learned from taking Clean & Simple Holiday at Online Card Classes (yes, you can still sign up!) 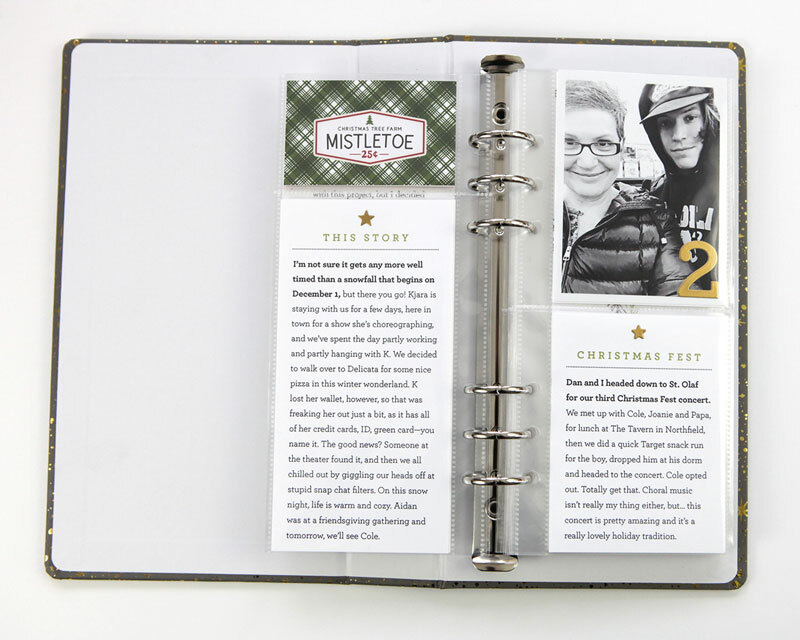 The tree is an idea by Kristina Werner and I am always amazed at how many cool cardmaking techniques work so well in scrapbooking, too! I created my own little December Daily title using the Archer font and a free font called Halo Handletter. 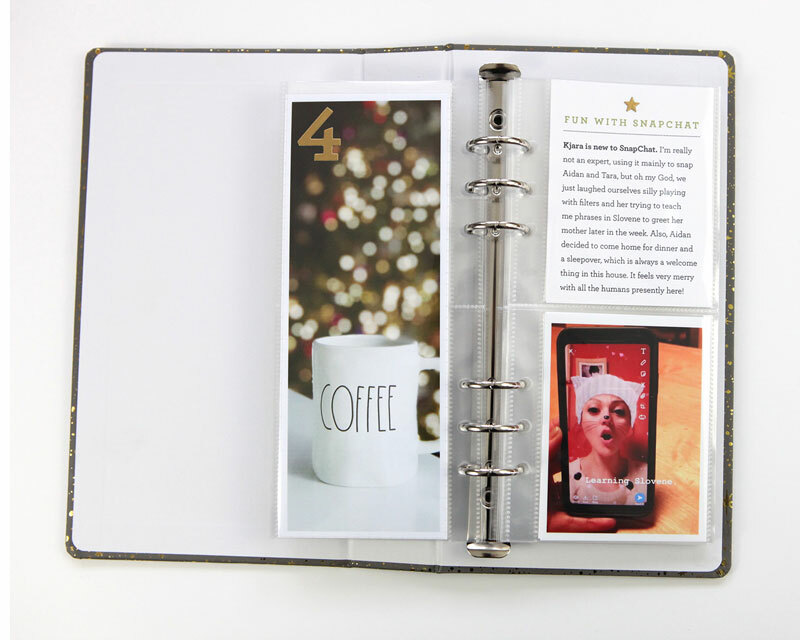 Spread number one includes an intentions page and a day one photo. 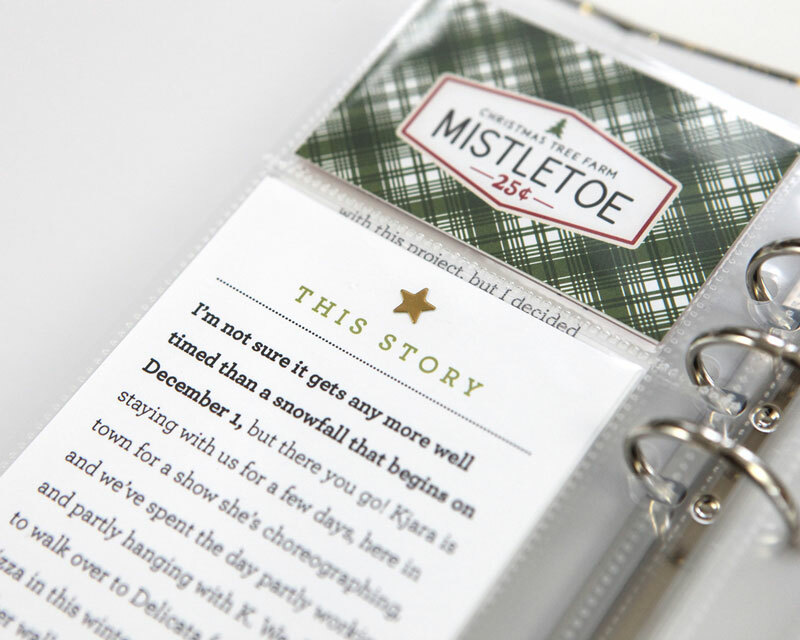 I just typed up a bit of journaling in an InDesign document, printed and trimmed. 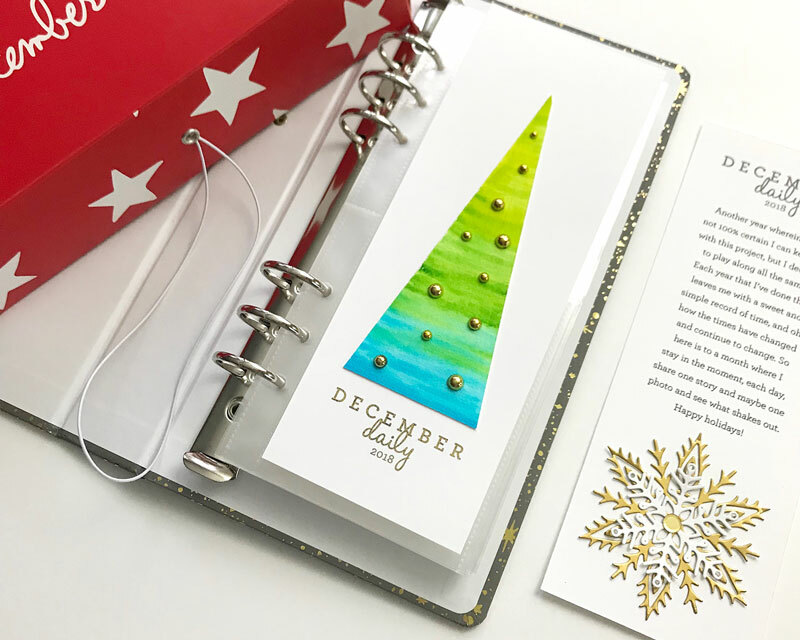 Yes, I did create my own little December Daily title, but it wasn’t too hard to do! The fact that it snowed here on December 1st? Right out of a Hallmark Christmas movie script. I put my Day 1 journaling on the back of the Day 1 photo and then Day 2 went on the facing page. In addition to elements from Ali’s kit, I’m adding VERY small details, such as punched stars from gold cardstock, to my pages. I have one extra paper pad from Echo Park which I’ll also be cutting up and using here and there. In order to reduce bulk, I’m simply cutting my day numbers using a die set and some more of the gold cardstock. I’ll save the numbers from the kit for other projects! On Day 4, I bought my first Rae Dunn mug from Home Goods. I think I’m in love. And that is how far I’ve gotten! Enjoy the download and thanks for stopping by! 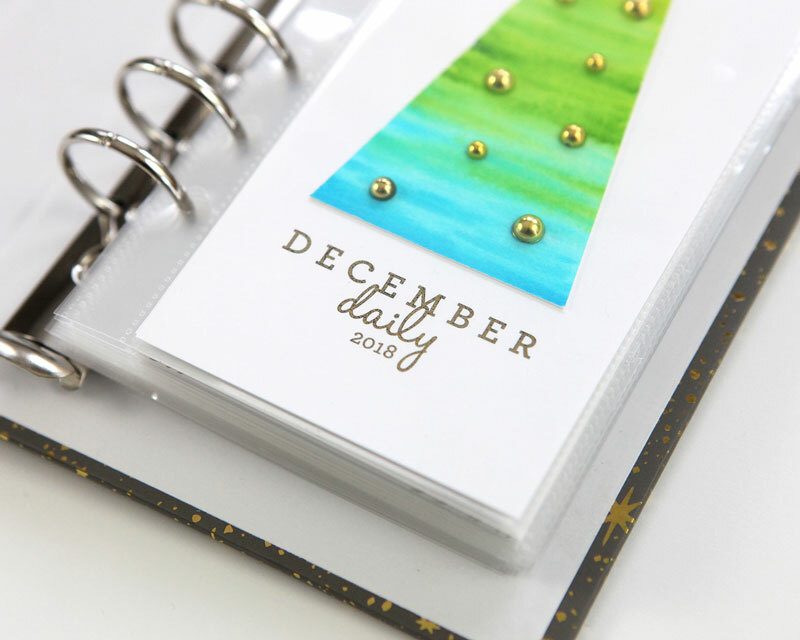 Ali still has many December Daily products available for purchase! Please check out her shop here. Some affiliate links are used in this post and below at no additional cost to you. 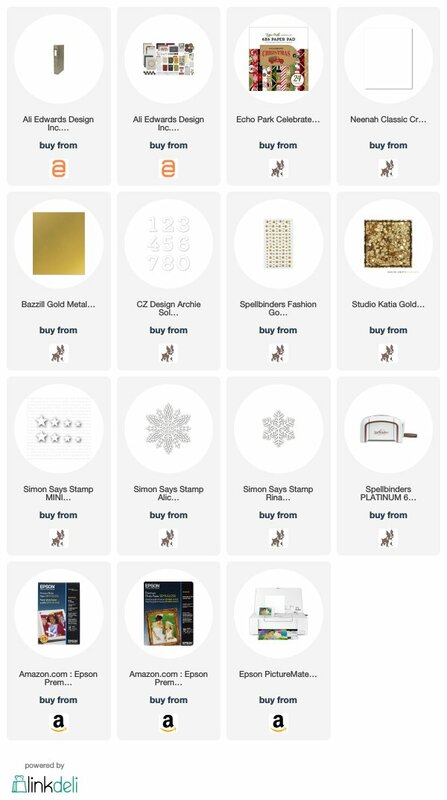 I receive a small percent of compensation when you click through and shop using the provided links. This helps me to continue building my small business. Thank you! Beautifully simple!!! I love it! Thank you for those templates! You’re amazing. Thanks for the templates- these are perfect! 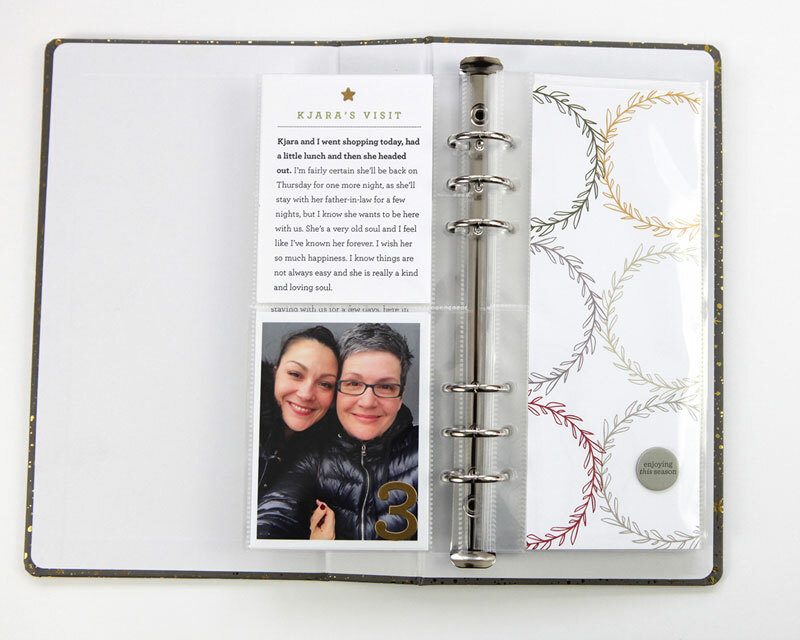 I was on the fence about the 3×8″ album but after seeing your gorgeous pages- i really love it! Happy Holidays!! Thanks Cathy! 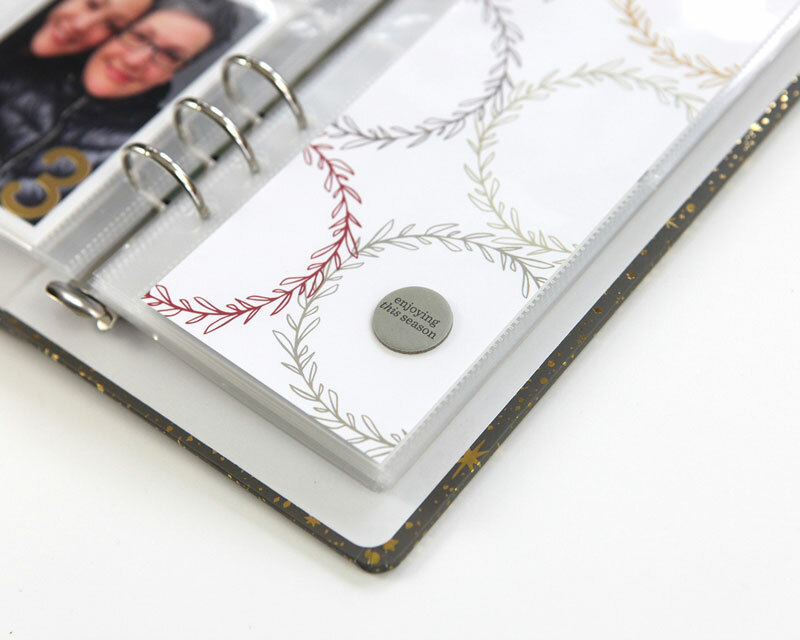 Great inspiration and these templates are just right for those one picture days. Clean, simple and crap-free. Love it! Aw, thanks, Michele! I love this little album! I just love this and the size doesn’t look bad either, which surprises me. Did you learn to make the snowflake from Kristina’s class or was it part of a kit? It doesn’t really snow here in FL, but that doesn’t stop me from putting snowflakes on pages. Thank you Cathy. I am looking forward to signing up for Kristina’s class this week. All her classes are really wonderful! Enjoy! Love your album and thanks for the templates!! Thank you Cathy! Decided to try the 3×8 this year too. Will definitely use that template. Thank you!!! 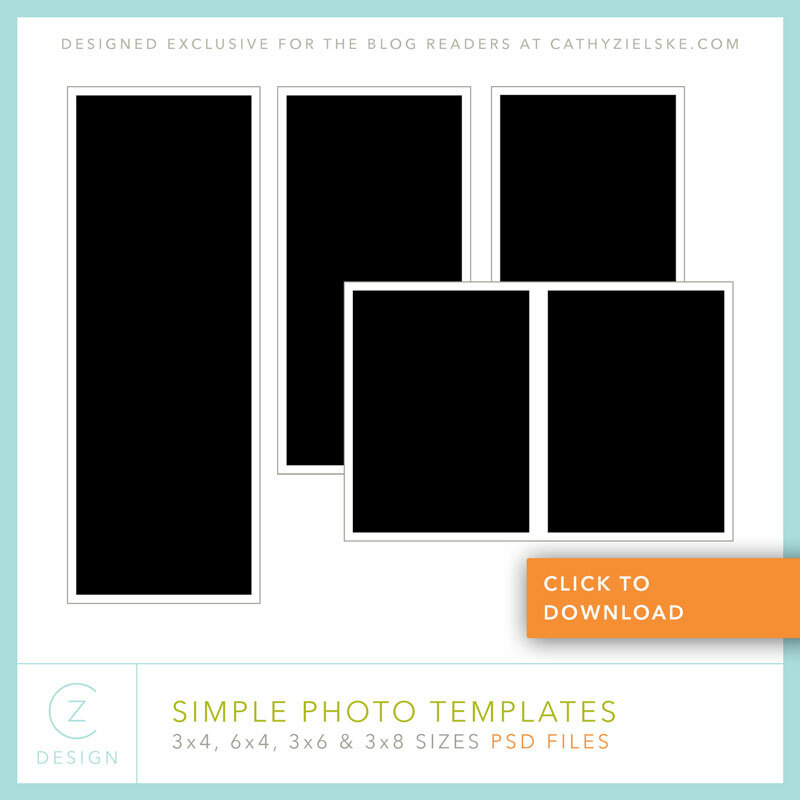 Love your album and so appreciate your kindness in sharing those templates!! I absolutely LOVE your approach. Dec Daily always seems out of my reach because this season is so busy for my family. Your clean and beautiful album seems “doable”. Lovely work! I’m a loooong time admirer of yours and your style gets me every time! 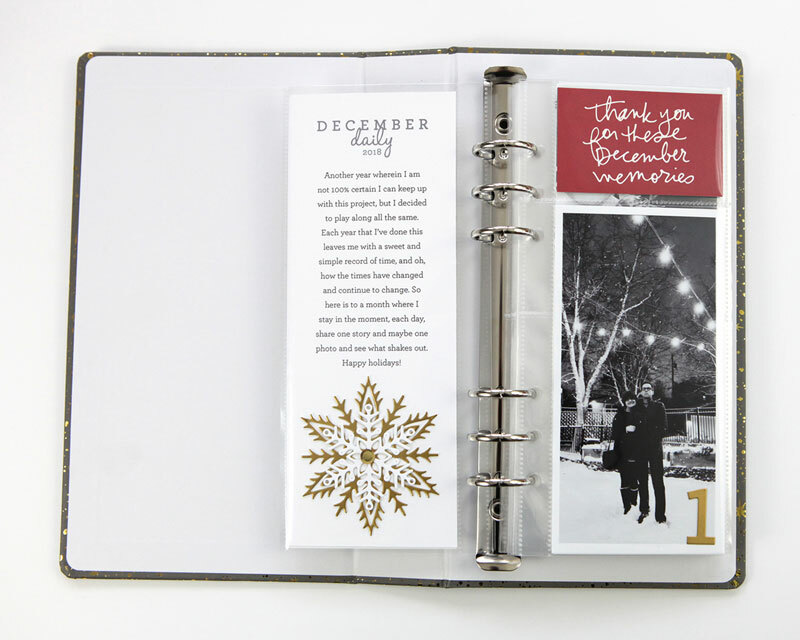 Thank you for sharing the photo templates – that border is so perfect. Thank you for the templates. And your craziness on Instagram – it is a highlight I look forward to. My crazy is very simpatico with your crazy. But are we crazy or are we just way cool. It’s all a matter of perspective! Thank you for the templates. Love your DD book this year. Thank you very much for the templates! I haven’t printed any pictures for my DD yet and I think I might really like to do the smaller ones with a white border this year. As always, you rock. Thanks so much for your generosity! I’m trying 3×8 as well!